DC Water says it will assess the fairness of skyrocketing fees after a News4 I-Team investigation revealed bills that have jumped by thousands of dollars and customers who are unable to pay. This does not necessarily mean DC Water is planning to change the fees, but the agency has vowed to take a look at who pays the most and whether the right people are paying the right amount. The fees are part of DC Water's Clean Rivers program which started in 2009; the fees have grown exponentially every year since then. DC Water also launched a new web page Thursday night to explain the program's history and address growing concerns from the community. The web page also promises to assess the overall fairness of the Clean Rivers fees, which fund a $2.6 billion project to build underground tunnels designed to stop sewage and stormwater from overflowing into our rivers. The federal government mandated DC Water do something to fix that problem. 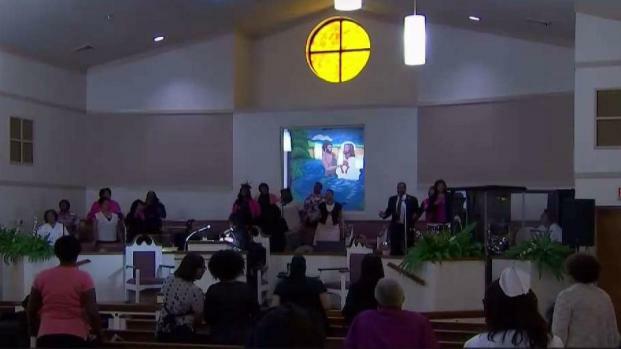 Earlier this week, the News4 I-Team revealed how leaders in Washington's faith community said they're having trouble paying their bills and could have to cut community programs. That prompted a meeting from various religious institutions to discuss the problem. Historic cemeteries also told the I-Team they could have to shut down as a result of the high fees. In one case, the water bill has jumped from $3,500 a year to $200,000 a year and, the fee makes up 80 percent of that bill. DC Water's general manager said the problem with lowering fees for the faith community and cemeteries is that if they get a break, all of the other customers will have to pay more to make up the difference. DC Water customers are the main funding source for the Clean Rivers project, which is the largest public works project in Washington, D.C., since Metro was built. Water bills are skyrocketing across the District by hundreds, even thousands, of dollars a month, and the News4 I-Team found it has nothing to do with how much water customers are using. Jodie Fleischer reports. Rock Creek Cemetery's future is in jeopardy because it can't pay its $200,000-a-year water bill, which used to be about $3,500 per year. Jodie Fleischer reports. When you look out across the rolling hills of Rock Creek Cemetery, you find a resting place filled with beauty, sculptures and a significant piece of Washington DC history. Over the years, the grounds have attracted people of all faiths, races, and backgrounds. "We have four Supreme Court justices here. We have a signer of the Constitution here," said Jim Jones, who sits on the finance committee for St. Paul's Rock Creek Church, which runs the cemetery. "This is the most historic cemetery in the city. And we want to be here. We've been here since 1712." But the cemetery's future is in jeopardy because it can't pay its $200,000-a-year water bill, Jones said. That bill used to be about $3,500 per year. "Our actual water usage is declining, incidentally. But the actual water bill is still climbing," said Jones. "It makes absolutely no sense whatsoever." It's because of the Clean Rivers IAC, which stands for Impervious Area Charge. It's a fee DC Water charges based on estimated stormwater runoff for each property. Roadways, parking spaces and rooftops of buildings all generate increased fees. In the cemetery's case, DC Water is also counting the surface area of the mausoleums on the property. "It was a real shock and a surprise," said Jones. "Most of these mausoleums were constructed as places for people's loved ones 150, 200 years ago. There's no way we go back and recapture that. And to, in effect, be punished for that, it's a bit much." 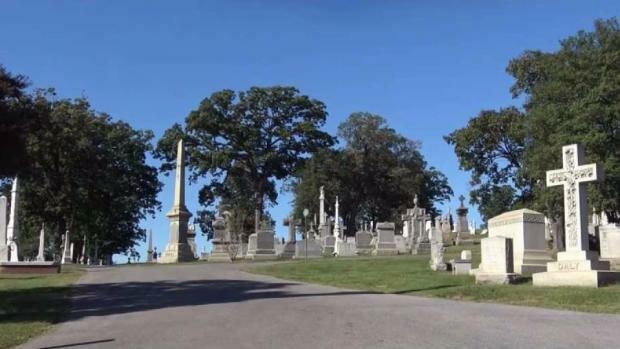 Rock Creek Cemetery is paying nearly $15,000 a month for the IAC fee, which accounts for about 80 percent of the cemetery's total water bill. The News4 I-Team spent months requesting records from DC Water, matching up properties and calculating how much each has to pay, and found D.C.'s cemeteries have already paid millions toward funding the District's multi-billion dollar Clean Rivers project, construction of underground tunnels to keep sewage and stormwater from flooding our rivers. The federal government mandated D.C. do something to solve its overflow issues, and DC Water opted to embark on the Clean Rivers project in 2009. It's the most expensive public works project in Washington, D.C., since Metro was built. "It just seems patently unfair that the heaviest burden appears to be placed in a place that’s actually supporting the city in its work to serve the community," said Craig Muckle, public policy manager for the Archdiocese of Washington. Cemeteries and churches are especially hard hit, Muckle added, because they have to have parking areas. Some larger cemeteries also have roads to get to their gravesites. It all factors into that IAC fee. But the I-Team found DC Water does not make the District pay for its public roadways; those are exempt. "If it’s good for the goose, it’s good for the gander," said Muckle. D.C. government does pay millions each year for its buildings and parking lots, and so does the federal government. The fee even allows DC Water to charge customers who don't get a regular water bill but do cause stormwater runoff, like commercial parking lots. Cemeteries are different, Jones said. "We're not a commercial parking lot or the evil chemical company incorporated; we're a green space!" Rock Creek Cemetery even spent $100,000 ripping out some of its roadways and planting grass instead, Jones said. But when it appealed to DC Water, an inspector came out and noticed more impervious area, so the monthly IAC fees went up. "We were absolutely dumbfounded," said Jones. "We have the largest variety of trees outside of the arboretum here in Washington, D.C."
The National Arboretum is a 400-acre sanctuary of public green space which pays nearly $400,000 a year in IAC fees, even though it isn't hooked to a storm drain and re-uses its stormwater run-off to water the plants. The News4 I-Team asked the head of DC Water, George Hawkins, whether the cemeteries and arboretum have a valid argument to avoid the growing fees. "It's an argument that has a point to it," replied Hawkins, adding that if bills are lowered for high-dollar customers like cemeteries and the arboretum, the rest of the city's customers would have to make up the difference, because that massive tunnel project isn't getting any cheaper. "We're going to evaluate various options of what we could or should do just on this basis. What is the cost of it?" said Hawkins, vowing that the water board will take a look at the issue, but probably not until sometime in 2018. "I think there needs to be a whole rethinking of how revenue for this project is derived," said Jones. "And there ought to be at least a cap or an exemption for historic places." Other cities, like Baltimore, have already exempted cemetery streets from stormwater fees and offer a hardship exemption for non-profits who can't pay. Jones said the cemeteries won't be able to pay anything if they're all out of business. "I think over time many operators are going to be simply left with no other choice than to close their gates and walk away," said Jones. "And I think for an institution like Rock Creek Cemetery ... that is just unthinkable."